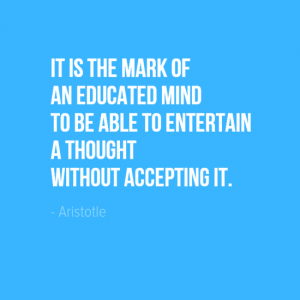 Are you able to consider a thought without accepting it? 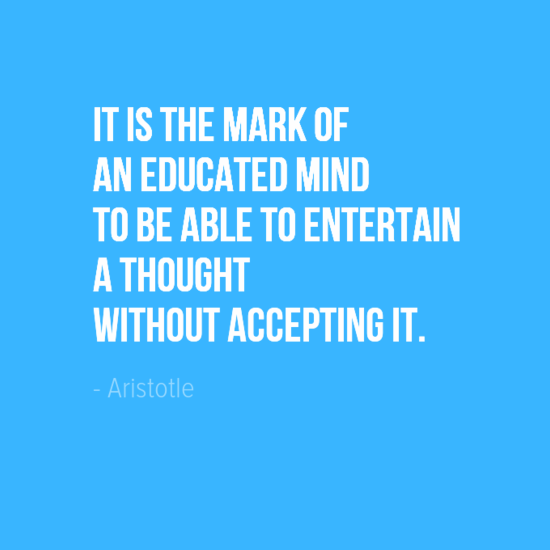 If you can then you have an educated mind in the eyes of Aristotle. Aristotle was a Greek philosopher and scientist. Born in 384BC in the city of Stagirus in Greece, Aristotle wrote on a number of subjects including – physics, biology, zoology, metaphysics, logic, ethics, aesthetics, poetry, theater, music, rhetoric, linguistics, politics and government. His works influenced numerous fields of human knowledge and thought and he is regarded as on of the most influential people who has ever lived.